It is made of breathable elastic fabric and it comes with a polycentric articulation on one of the sides and flexible stay on the opposite side, condylar air cushion with valves and inflating system. 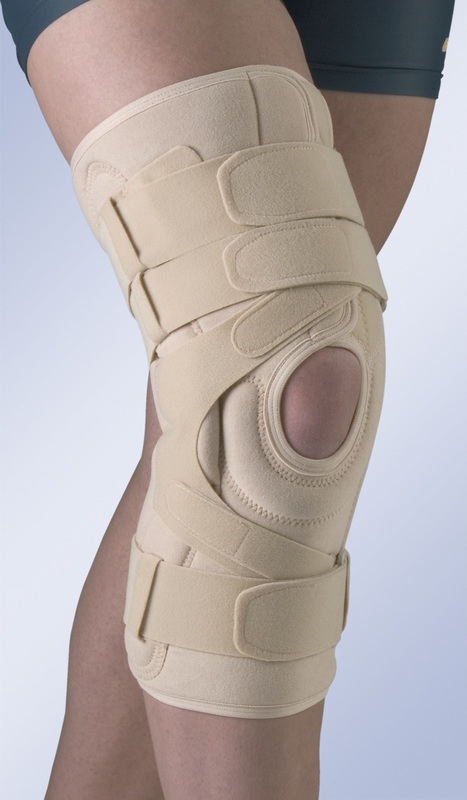 Femoral and tibial closure for better adjustment, infrapatellar pad and front femoral opening for easy fitting. Indications: Arthrosis of the tibio-femoral compartments, Arthrotic valgus and varus, Meniscal injuries., Gonarthrosis. Size: S (32-34cm), M (36-38cm), L (38-41cm), XL (41-44cm), XXL (44-49). Knee joint circumference in cm.